Kristi: Being born in the late 60s, Kristi, a Monroe resident, grew up with all the best music. Greatly influenced by the music choices of her older brothers and sisters, she has a passion for the “hippie stuff”, but also has a guilty pleasure for that old twangy country sound that you’ll sometimes pick up in her voice. Given her sister’s old clarinet in the 5th grade, she immediately caught the music bug. Encouraging her interest, her parents gave her a guitar for her 11th birthday. After playing for family and friends for a while, and even in a couple school talent shows, she gave up playing music for years, but the passion never left. 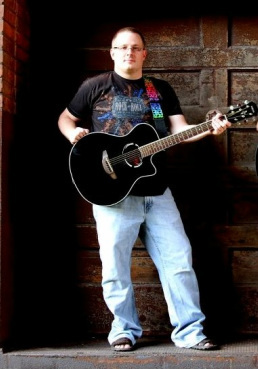 Matt: A native of Romulus, Matt began his music career at a young age. His love for music was inspired by his older brother, a drummer and guitar player, and his sister-in-law, a pianist. They taught him some basic chords that set everything into motion. For the last 20 + years, Matt has been singing and playing live in the Detroit area on keys, guitar, and bass. Some bands you may have heard him in are Crossover, Hines Drive, Exit Reality, Last Minute, Captain Morgan & the Chasers, and Destination. Fast Forward … Kristi went to see some old friends in a local band and they introduced her to their keyboard player, Matt. The attraction was instant. A few years later, Matt bought Kristi a new acoustic guitar and it all started coming back. In January 2011, he talked her into singing in front of friends and eventually, got her on stage to form "Hippie Chick Band". Their first official gig was May 28, 2011. Take a look to see what they've been up to since then!